Diakar was established in 1999 with the aim of providing high quality technological project implementations. Throughout these 20 years we have been able to create a highly expert team that can implement complex and innovative projects, focusing mainly on telecommunications and telematics. From feasibility study up to installation and delivery of 5500 TETRA systems and 3000 telematic systems, in a record time of 3 months , Diakar’s team of expert engineers managed to organise, implement and run a very demanding project, taking in consideration the nature of the event. 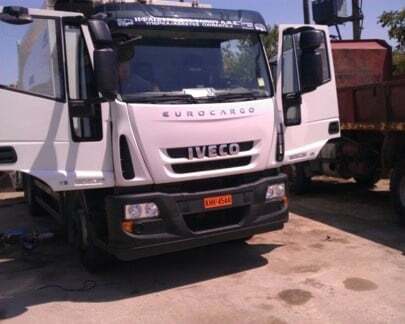 The fleet mentioned above, belonging to the Greek Security Forces and other authorities related to the event organisation, was part of the delegated Security Forces fleet operating during the Olympic Games. 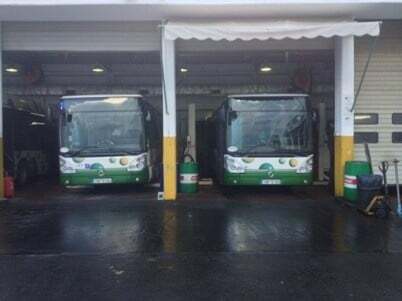 Diakar’s delivery excellence was further accredited by undertaking a consecutive five year post-Olympic service and maintenance contract for the aforementioned fleets. This contract also included the complete software upgrade of 8500 AVLs and 11000 portable units that operated during and after the Olympic Games. Contracted and successfully delivered a very demanding international project for the 2006 Asian Games in Doha, Qatar. We were responsible for the complete installation, at a very demanding time frame, of the MSCP system, which is is a modular vehicle-shelter solution providing situational awareness, command and control support, and on-site incident management. Diakar provided the cabling and the complete equipment installation for 4 MSCP off-road edition vehicles for the country of Qatar, specially designed for the security of the 15th Asian Games in Doha. Contracted and successfully delivered the design of electrical plans and the installation of terminal cab radios for the new GSMR communication network of Greek Railways. Diakar S.A. Also undertook a three year maintenance and technical support contract (2010 - 2013) for this new system of communications. This GSMR telecommunication system is the basic operation platform for the implementation of the ETCS system that runs throughout the European rail network. 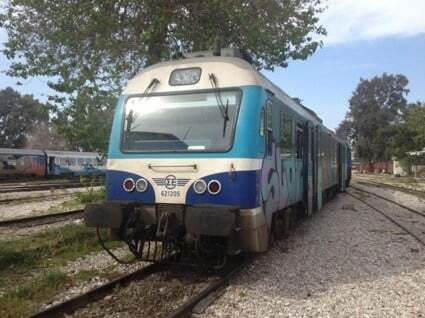 It is an innovative system that sets new horizons for the operation of the Greek Railways. Undertook and delivered another flagship project for the Greek Police. Project scope was a Greek State initiative to upgrade the communication means between police cars (and officers) on duty and the Operations Center of Greek Police. We were responsible to design a solution applicable at 800 police vehicles of various types, then to install all the communication systems on-board all these police vehicles in every prefecture of Greece and to provide all the acceptance tests before delivery. 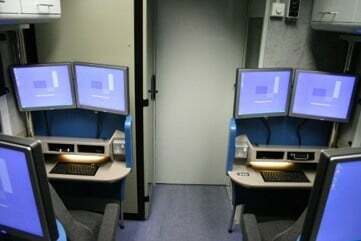 This specific project was part of a major integrated project labeled “Police Personnel Remote Access Service” that implemented a secure virtual private network (VPN) for 800 computerised terminals that where installed on-car and communicated via a secure encrypted connection with Greek Police Headquarters. Distinguished among Diakar’s international clientele is the most distinguished Arabic television network, Al Jazeera. Our company, as a subcontractor of Lysys SA, one of the most prominent .integration companies in the Middle East, supervised the installation of the HD/ CCTV system at Al Jazeera’s studios in Qatar. 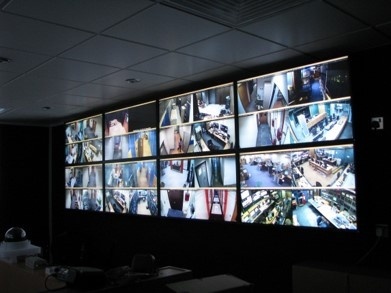 The system comprised of surveillance infrastructure (HD/IP cameras) that was installed to cover indoor and outdoor areas of the network’s premises, with greater emphasis on Production Studios and Control Room. Diakar’s team of expert engineers managed to run and finalise a very demanding international project that required intensive project management, ingenious integration expertise and introduction of frugal innovations while installing several kilometers of cabling circuitry. 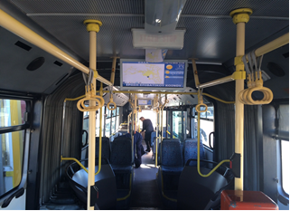 Installation of a passenger’s wifi system in Athens public Transports buses (OASA). The integrated project consists of the installation of an on-board wifi system inside each OASA bus, comprised of a vehicle router. These systems are being installed in 155 buses. 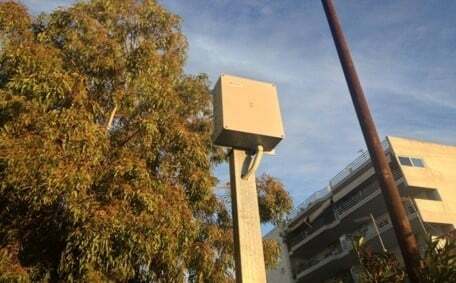 In 2014, Diakar was contracted to install a traffic monitoring system for the Municipality of Patras in Western Greece. The system, based on Bluetooth technology, deploys real time monitoring sensors installed in order to gather real time traffic data of the main highways, streets and junctions of the city. These data feed a decision support system for traffic control. Contracted on a very demanding project by ERGA OSE AE- ANSALDO STS joint venture: the installation of a Level1 ETCS (European Train Control System) system in the Greek Railway System. The ETCS system is an integrated signaling, control and train protection system, that allows continuous monitoring of the maximum permissible speed of trains in circulation as well as automated protection against speeding violations by applying braking or emergency braking and enforces automated halting of the train in case of violation of a red light. 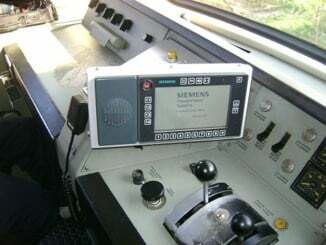 In addition, as part of the installation of the ETCS system light signals are displayed inside train-driver’s cabin by utilizing Lineside Electronic Units (LEU) and Eurobalises radio beacons. This system is an open platform for development of future applications for railway use as well as for providing upgraded services to passengers. Contracted for installation of a passenger’s information system and a fleet management system in Athens Public Transports’ buses (OASA). 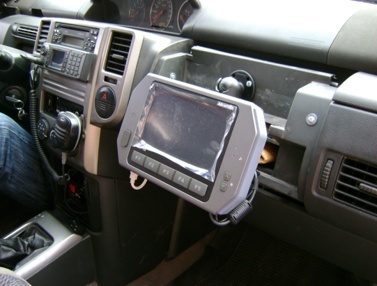 The integrated project consists of the installation of an on-board telematics system inside each OASA bus, comprised of a vehicle PC, a driver’s screen and an automatic passenger counting system. These systems are being installed in 1750 buses and 250 trolley-buses for monitoring transportation activity in Athens and seamlessly provide live travel information data to passengers at over 1000 smart bus-stops around the city. Contracted in the Project of the Greek National Observatory of Electromagnetic Fields in order to redesign and restructure a common pick-up vehicle for the needs of real-time EMF measurements. 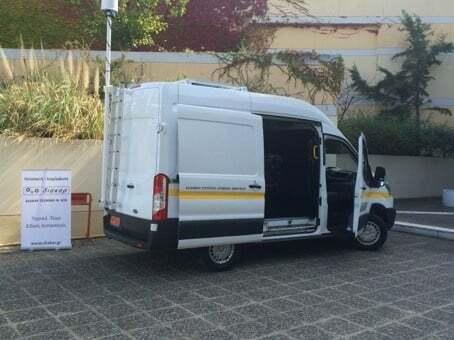 Our team retrofitted the vehicle to host a Portable Station for Measuring Electromagnetic Fields and reconfigured the available space in order to accommodate measurement process and provide sufficient space for secure storing of the valuable electronic equipment. Our holistic redesign of the interior of the vehicle, using high strength coated wood with adequate supporting modules, led to the creation of sufficient workspace for 2 scientists. Additionally, we introduced two auxiliary cabinets, a metal one to be used as a safe storage for measurement equipment and related toolkits and a wooden one mounted in the vehicle interior, both equipped with safety locks to provide a safe working environment while the vehicle is in operation. The interior vehicle walls have been covered with insulating material and textile lining. Lastly, we equipped the rear end of the vehicle with an auxiliary 220V-1,5 KVA electric generator in addition to the vehicle’s 12V battery supply. For uninterrupted operation of the electrical set-up our engineering team has also installed a UPS system next to the generator. 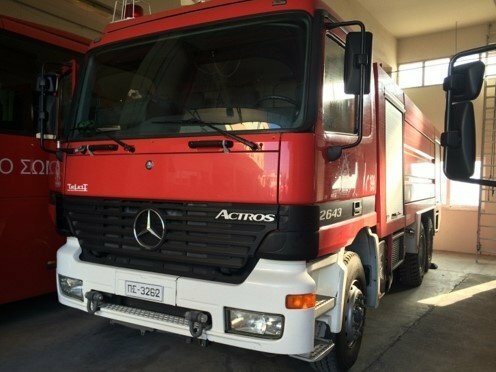 Contracted for the design and the installation of this integrated project consisting of the installation of 3.000 on-board telematics systems for the Fire Brigade vehicles. The system offers monitoring of the position of the fleet of Fire Brigade vehicles and has the capacity to measure the operational capacity of 1750 vehicles with available water quantity data, crew identification through electronic identities, fuel measurement, engine status and pump.